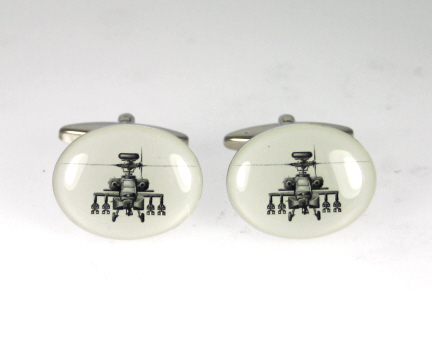 A pair of novelty Apache Helicopter Cufflinks on white background. These cufflinks may not get you off the ground but they are very useful on a shirt! You'll be flying high in one of our aeroplane ties. Spitfire, Lancaster and Wellington Bomber aircraft just to name a few.